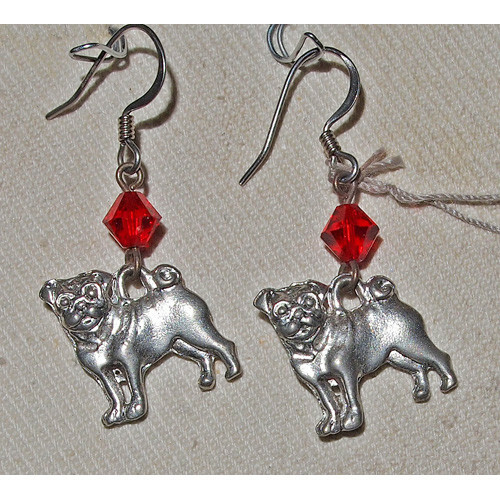 Earrings with Pug charms. 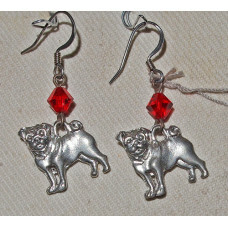 These charms are made of silver plated pewter. The earrings are adorned with Swarovski crystal beads in the color Light Siam. These earrings are for pierced ears and they have French hooks surgical steel decorated with a spiral.